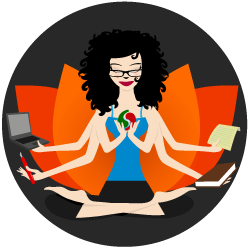 Writing your own manual for your yoga teacher training is, in my mind, one of the very best things you can do for your students. It lets you address exactly the things you want to address, in your own inimitable voice—which is exactly what your students want. Getting started, though, can be daunting. Like with any big project, I’m a fan of approaching it piece by piece. First off, know that you do not have to write down everything you will be teaching. It’s okay for the manual to cover some things and not others. Most teachers I’ve worked with—including myself—use the teacher training manual to augment the in-person training. What this means, in practical terms, is that you choose what you have written pages for and what you don’t. I think of it like this: if I want people to be able to listen without taking notes, I make sure I write that section for my manual. If I want students to be able to refer back to something specific, I’ll include that as well. If I have certain words or phrases I want to make sure they have, I’ll include those. Certain parts of a teacher training, like anatomy, are better left to whatever already-existing book you use (this is because writing detailed anatomy pages will take you years and result in a textbook!). Other sections, such as writing out directions for each asana, are useful for students to have…although you can also just include a page with the pose name and places for the student to write their own notes about alignment, common cues, contraindications, etc. Also, remember that there are no rules for how you write this. If you are poetic, be poetic! If you swear in class, feel free to include that! If you’re straightforward in how you speak and teach, be the same way in your manual. Allow yourself to write with whatever voice comes naturally to you. It’s the one your students want. If you’re ready to start, try following these steps. 1. Decide if you want to hand students a completed manual before the training begins or if you want to pass out the pages for each topic as it’s covered in the training. If you want a completed manual to hand out (if you’re doing an intensive, an online training, or if you just want them to have the whole thing at the beginning), then set yourself a due date to have the manual finished two months prior to the training, so there’s time for you to review it and also time for someone else to proofread it. Then skip to #2. If you’re going to pass out pages as you go (if you’re doing a one-weekend-a-month training or ,if you don’t want to stress about writing the whole thing at once), you’ll want to your syllabus ready before you start to write. With the syllabus ready, set due dates for each section according to when it will be taught. Leave at least a week between the deadline and the training date for someone to proofread what you wrote. If you already have a syllabus for your training, you’re basically done with this step! Use the syllabus as a starting point. If you’re adhering to training guidelines put forth by Yoga Alliance or any other group or lineage, those can also work as a starting point. If you don’t have a syllabus or training guidelines yet, then this brainstorming session will help you decide what you want to cover in your training. On paper or on the computer (however you work better), quickly write down every main subject/topic you can think of that you’d like to cover in your training. Don’t worry about the order or complete sentences or anything like that. And by “quickly,” what I mean is that as soon as you have to stop to think about what to write next, go on to the next step below. You can always come back and add more topics. For example, when I started writing my teacher training manual, my list started like this: ethics, pranayama, sequencing, playlists. I worked on those first, and then added more. If you’re a more visual person, you can also brainstorm from images. Either browse yoga images online and use them to spark ideas for what you want to include in your manual (such as proper alignment or hands-on adjustments), or—if you have photos of yourself teaching or practicing—use those for a more personalized list, such as communication or holding space. Go through as many images as you want, and write down every idea you get from them. Next, take one of the topics and get into more detail…meaning, quickly jot down any thoughts you want to be sure to cover or address on this specific topic. Again, as soon as you have to stop and think about it, move on to the next topic. Soon you’ll have a list of topics, with details about what you want to write for each. This is a rough outline/syllabus. Use the brainstorming above, or your syllabus, to make a Table of Contents for your teacher training manual. You can set this up in order of how topics will be taught, or in sections such as “History,” “Subtle Body,” “Asana,” etc. It’s entirely up to you and what will work for your training. Don’t worry if you’re not sure; you can (and probably will) rearrange later. But a Table of Contents is invaluable for organizing what you’re writing and making sure you’re not missing something important. If you’re handing out pages as you go, start with whatever you need for the first meeting and move forward from there. Let the order of your training dictate what you write when. If you’re planning to have a completed manual to start the training, then just choose a topic that seems easy for you and start there. Don’t worry about going in order; you’ll get to it all eventually. Starting with something you love and have a lot to say about will make this far more fun and easier! 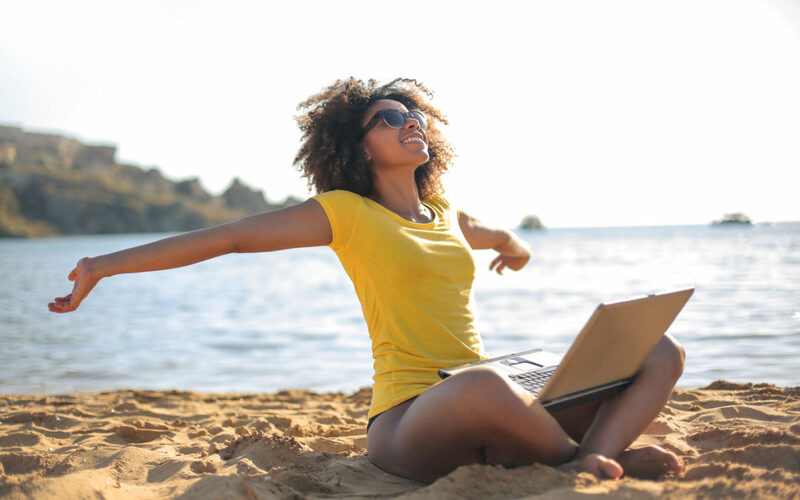 Set yourself an amount of writing time that doesn’t feel overwhelming, such as fifteen or thirty minutes. You don’t need hours to get going. Write in the small spaces of time you have. You’ll be amazed at how quickly this adds up to a completed manual. Most writers get hung up trying to write opening sentences. Don’t worry about this. Instead, just jump right into the meat of each section first, without trying to write an opening of any kind. Come back later to write that part. Starting in the middle means you can get right to it. Do your best not to edit as you go! Yes, this is hard, but SO important! Writing brain and editing brain are different and don’t play nice together. Allow yourself to write badly and know you can come back and revise. When you run out of ideas, move on to the next topic. Most of all, let go of any expectations of how your manual “should” be, and do your best to write the words that are calling to you. You’re well on your way to having a completed manual! 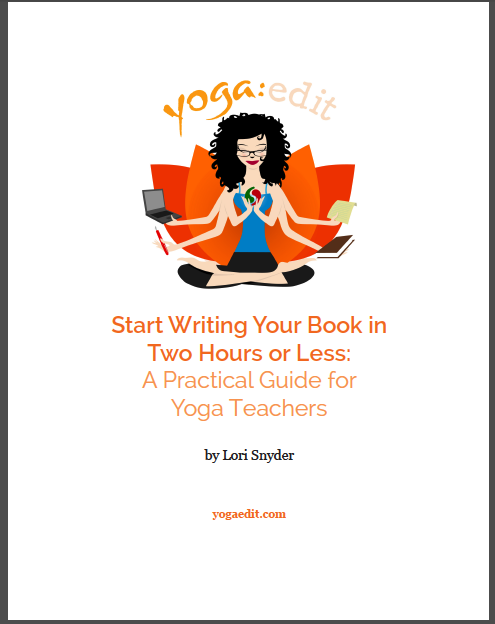 If you’d like several more techniques for how to get started, check out Start Writing Your Book (or Teacher Training Manual) in Two Hours or Less: A Practical Guide for Yoga Teachers, which gives you four different starting techniques to really get going. What one thing is your biggest burning question about writing your manual? Drop me a comment below and I’ll get right back to you with the best answer I can!